We love getting to know you better, but we know it works both ways. Now it's your turn to learn a little more about us. You could have a lot of fun guessing what Youi stands for, but in the interest of time, we'll tell you: Youi stands for You Insured. There's nothing abstract about it. You are at the centre of our brand. We've built everything from our name to our products around you and your needs. So now, when you think of us, hopefully you'll get that nice warm feeling that comes with knowing you are insured. We don't believe in doing things the same as everyone else does - not when it comes to selling insurance, and not when it comes to hiring our crew. What makes us unique are the people we employ and the people we insure. We recruit people with different skill sets, perspectives and experiences. We insure people who live in all sorts of different houses and who drive all sorts of different cars in all sorts of different ways. Because at the end of the day, what makes us unique, is you. We love where we live and the people who live here. So when it comes to helping our community, we like to get hands on to really make a difference. There are almost a thousand of us working here at Youi - that's a lot of hands. To make the most of them, we've created a program called Youi@Hand. It allows us to help make a lasting change in our local communities by giving up our time to get stuck in where it matters. We get our hands dirty planting trees. We roll up our sleeves to donate blood. We get our arms drenched washing cars. We get our hearts full from seeing the smiles on everyone's faces, and then we do it all over again. 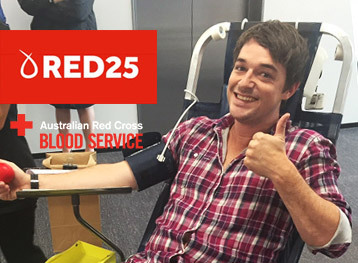 Red25 was set up by the Australian Red Cross for groups and organisations to donate blood. It’s built on the concept that together we can achieve so much more. 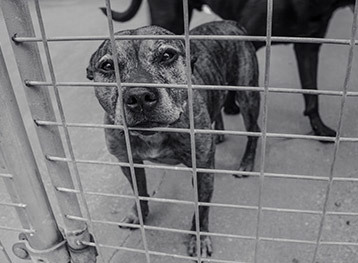 The Sunshine Coast Animal Refuge (SCAR) provides temporary refuge and finds new homes for abandoned, abused and unwanted cats and dogs. The Compass Institute is dedicated to providing real futures for young people with a disability by assisting them in ‘Mastering the Art of Life’. We aren't one to brag but some news is just worth sharing. Our crew is united by our passion to deliver awesome service - you know, the kind that just makes your day. We’re thrilled to have won the following customer service awards for our efforts. Youi Pty Ltd is an Australian registered company and is a wholly owned subsidiary of OUTsurance International Holdings Pty Limited part of the Rand Merchant Insurance Holdings (RMIH) Group. Youi Pty Ltd is a registered general insurance company which underwrites its own policies. Our products currently include Vehicle (Car, Motorcycle, Caravan and Trailer), Home (Buildings and Contents), Watercraft and Business Liability. We are regulated by the Australian Prudential Regulation Authority (APRA) and Australian Securities and Investment Commission (ASIC), a member of Insurance Council of Australia (ICA) and a signatory to the General Insurance Code of Practice. We're a wholly owned subsidiary of OUTsurance International Holdings Pty Limited which is part of the Rand Merchant Insurance Holdings Group (RMIH), a large international insurance services provider. Our Australian Business Number (ABN) is 79 123 074 733 and our Australian Financial Services License (AFSL) number is 316511. Call Youi now on 13 YOUI and see what the future of your insurance looks like. Youi is a signatory to the General Insurance Code of Practice, which is an industry commitment to raising standards of service to its customers. Youi upholds these standards to provide efficient and professional service quality to the community and our policyholders in providing general insurance.